The Catcher Was A Spy, the movie about a real-life baseball player turned American spy, has begun filling out its cast. The production’s already landed its lead in Paul Rudd, who will play Moe Berg, the former White Sox player who decided to follow up his baseball career with some time in the secretive service. 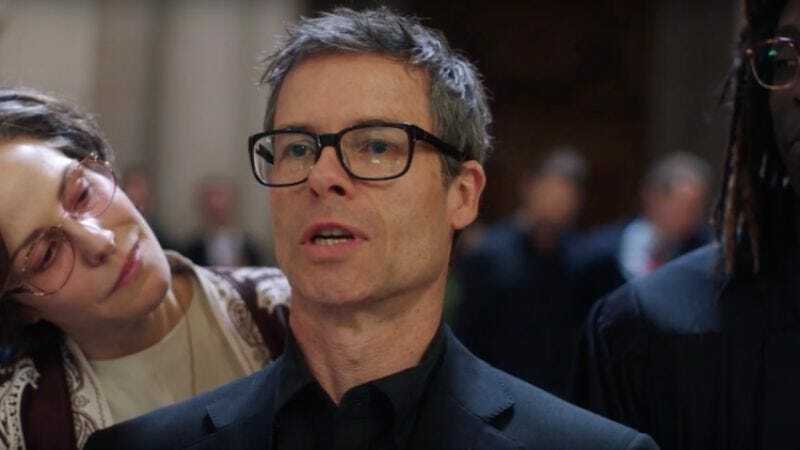 Now Empire Magazine reports that Guy Pearce will co-star with Rudd. Pearce’s role is currently unknown, though we could see him playing a crotchety coach giving Moe a hard time at Comiskey Park, or the suave mentor who helps him figure out just how to spy on people. The Sessions’ Ben Lewin is directing from a script by Robert Rodat (Saving Private Ryan). While he awaits news on his role, Pearce can look forward to having the President barge in on the three-night run of the gay rights drama, When We Rise.